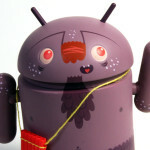 Andrew Bell has just announced that the third series of Android Mini Collectibles will be shipping by the end of September. Originally slated for Q2, the delay is mostly due to a redesigned arm that lets you pose robo-appendage any which way. Very cool. And if you happen to be in Brooklyn, drop by The Cotton Candy Machine to check out some of Andrew’s other work during the Other Mother Brothers art show. 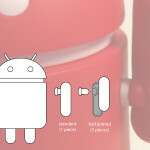 Ever wonder how the Android Mini Collectibles project got its start? Check out our interview featuring Andrew and yours truly.